The table used in a chess game is called chess board and consists of eight rows and eight columns of squares which are arranged in two alternating colours (light and dark). The squares are called houses. The eight horizontal rows are called also files, ones diagonals are called also ranks. The rows of squares that have the same colour, matching the corners, are called diagonals. The chess boards you will find on Venditascacchi.it are all handicraft manufactories and are made of wood, root, alabaster and leatherette. 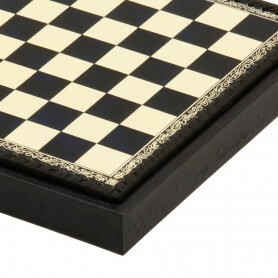 You will find also Chess Box, chess board with box where you can put you chess pieces at the end of the your game. The wooden chessboards are made of rosewood, maple and walnut, high quality materials made with a matt or gloss surface finish to increase their own properties. You can not only choose your favorite chess board, but also the size of the playing field, and than combine the most appropriate chess pieces. You will have your own, unique, chess set! 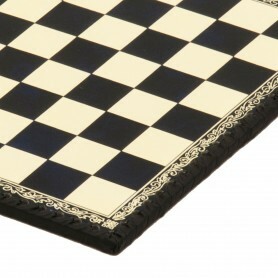 Our best selection of luxury products: chess boards in Briarwood. Briarwood wood is considered a material of great value, with excellent quality and with much charm: that's why it is used for the construction of some of our best and most valuable chessboards. You will find a selection of chess boards in burl elmwood in gloss and matt, blue or black, in various sizes and types of ornamentation. An elegant object with simplicity, at a reasonable price but made with the same care by our master artisans. These chess boards could be combined with many typologies of chess pieces, you will find obviously on our website. 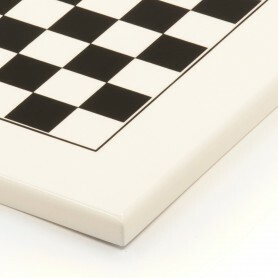 And if you are searching for a container to storage the chess pieces at the end of the game, you could choose on of our chess board with box container. 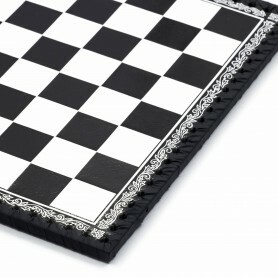 Chessboard leatherette black and white inserted by hand. 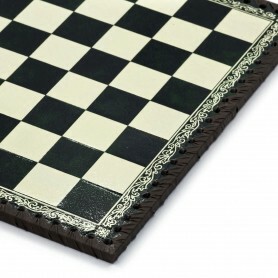 Chessboard in leatherette ivory and brown inserted by hand, handmade in Tuscany, for chess pieces and checkers. Available in three sizes. 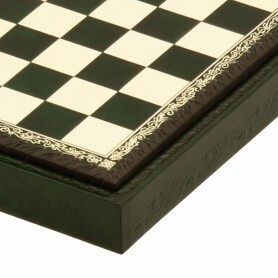 Chessboard for chess pieces anche chekers, handmade in Tuscany, letherette, ivory and green color, insert by hand. Available in three sizes. 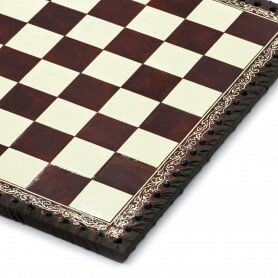 Chessboard in leatherette ivory and bordeaux inserted by hand, handmade in Tuscany, for chess pieces and checkers. Available in two sizes. 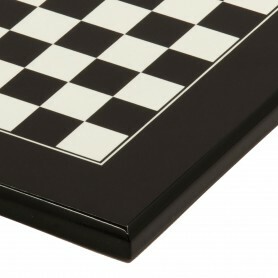 Chess board box container in leatherette, color black and white inserted by hand. Chess board box container in leatherette, color ivory and blue inserted by hand. Available in different sizes. 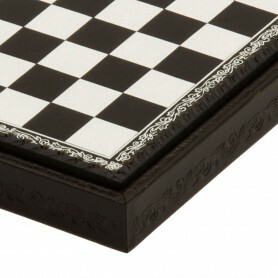 Chessboard in polished black lacquered wood, handmade Tuscan production. Available this size only. Chessboard in Polished White Lacquered Wood, handmade Tuscan production. Available this size only.